Literacy education has been an important project within the Women’s Department for many years. According to United Nations statistics, about 28% of Kenyan adults are illiterate. Adults who are unable to read or write often face discrimination, have difficulty finding and maintaining employment, and are not able to participate fully in church and community activities. In keeping with KELC’s mission to ensure abundant life for all people, our church has been offering literacy classes in many of our parishes and communities for many years. 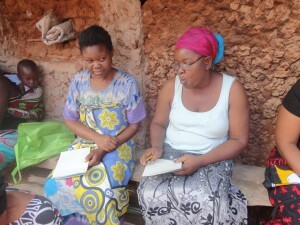 More than 20 adult literacy classes are being held in different KELC communities around the country. These classes serve over 300 women and men. The students attend class 3 times per week for 2 hours each class. The classes are lead by a trained, volunteer instructor. The teacher has received training in literacy education, and they have been equipped with the knowledge and tools to properly teach adults in literacy education. The students attend classes for two year. After a two year period, the students are able to take an exam to see if they are prepared to graduate from their literacy education. If they pass the exam, they are given a certificate indicating they have completed their course. If students are unable to pass the exam or if they wish for more instruction, they are able to stay in the classes for another year, after which they will be tested again. 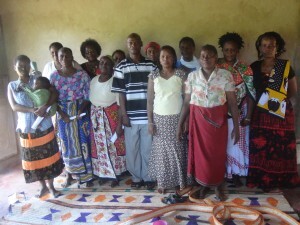 The students in our Adult Literacy Classes have achieved tremendous success. Hundreds of people have learned to read and write. Many students have also learned basic math skills. After successfully completing their education, students have been able to find better jobs, they are more successful in selling their products in markets, and they are able to participate more fully in their church and community. Several students have gone on to hold leadership roles in their church, including the positions of treasurer, secretary, or committee chairperson. Students are also proud to be able to serve as Bible reader in their worship service. 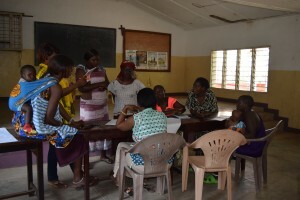 As KELC’s Adult Literacy program continues to grow and develop, new teachers are being trained in adult literacy teaching methods so that they will be able to teach more classes in their communities. New teachers are invited to attend a week-long training seminar to learn teaching skills and classroom management tools that they can use when leading literacy classes. 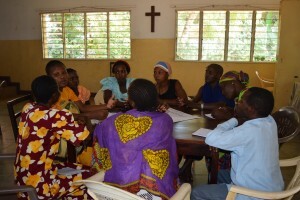 KELC collaborates with an organization called Partners in Literacy Ministries (PLM). PLM, in partnership with Literacy & Evangelism International, has developed a comprehensive teaching and learning plan for effective, culturally sensitive adult literacy education. During the seminar, participants learned methods for teaching adults to read and write, ways to motivate students, how to maintain class attendance, and tools to incorporate faith into literacy education. Teachers are given detailed lesson plans to use in their literacy classes, and they are instructed on how to make learning materials, such as diagrams and flashcards. 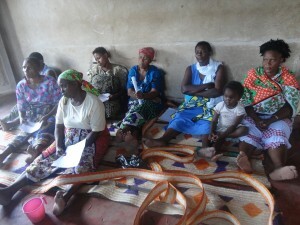 The new teachers allow KELC to expand this program to reach more people and more communities. We are grateful for the people who volunteer their time to teach literacy education. Their gifts to the community are invaluable and they assist our church in fulfilling our mission of ensuring abundant life for all people.